1. 1 L Hybridoma-SFM (serum-free medium) without L-glutamine (Life Technologies, cat. no. 93-0247-170). 2. Dialyzed fetal calf serum (FCS) (Hyclone, cat. no. SH30079.03). 3. 100X MEM nonessential amino acids solution (Cellgro, cat. no. 25-025-Cl). 4. 100X Penicillin-streptomycin (Pen-Strep) solution (Gemini BioProducts, cat. no. 400-109). 5. 50X GSEM (glutamine synthetase expression medium) supplement (Sigma, cat. no. G9785). 6. 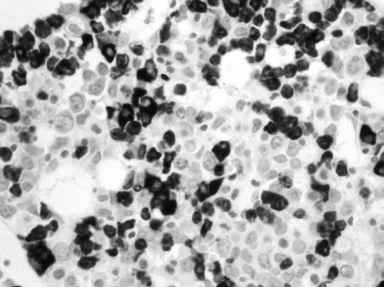 NS0 myeloma cells (included with pEE12 vector). 7. Characterized fetal bovine serum (FBS) (Hyclone, cat. no. SH30071.03). 8. 100X Glutamine/penicillin/streptomycin solution (Gemini, cat. no. 400-110). 9. Nonselective medium: 1-L bottle Hybridoma-SFM, 100 mL characterized fetal bovine serum, 10 mL glutamine/penicillin/streptomycin solution, and 12 mL MEM nonessential amino acids. 10. Selective medium: 1-L bottle Hybridoma-SFM, 22 mL GSEM supplement, 12 mL Pen-Strep, 12 mL MEM nonessential amino acids, and 100 mL dialyzed FCS. 11. Sali RE (10X NEBuffer Sali and 100X BSA included; NEB, cat. no. R0138S). 12. 0.4-cm Gene Pulser cuvet (Bio-Rad, cat. no. 165-2088). 13. Phosphate buffered saline, sterile, pH 7.4 (Invitrogen, cat. no. 10010-023). 14. 0.4% Trypan Blue solution (Sigma, cat. no. T8154). 15. Hemacytometer system (VWR, cat. no. 15170-168). 16. Gene Pulser II System (Bio-Rad). 17. Microtest 96-well plates, sterile (BD Falcon, cat. no. 353072). 18. Microplate aspiration manifold (from V&P Scientific or similar). 19. Reagent reservoir (VWR, cat. no. 53513-048). 20. Coating buffer: 25 mM sodium tetraborate decahydrate, pH 8.5 (Sigma, cat. no. S9640). 21. PBS: 0.15 Msodium chloride and 0.02 Msodium phosphate, pH 7.2 (nonsterile). 22. Blocking buffer: 1% BSA (Sigma, cat. no. A9647) in nonsterile PBS. 23 . 96-Well flexible plates (BD Falcon, cat. no. 353912). 24. Microplate strip washer (BIO-TEK or similar). 25. PBST wash buffer: PBS and 0.1% Tween-20 (Fisher, cat. no. BP337-500). 26. Primary Ab: goat anti-mouse IgG, IgM (Caltag, cat. no. M30800). 27. Secondary Ab, Fc-specific: peroxidase-conjugated goat anti-mouse IgG (Sigma, cat. no. A9309). 28. Secondary Ab, protein moiety-specific: peroxidase-conjugated. 29. OPD peroxidase substrate (Sigma, cat. no. P9187). 30. ELX800 plate reader (BIO-TEK or similar). 31. RPMI complete: RPMI 1640 (Invitrogen, cat. no. 11875-093), 1X Pen-Strep, and 10% FCS. 33. Freezing medium: RPMI complete, 25% FCS and 10% DMSO.